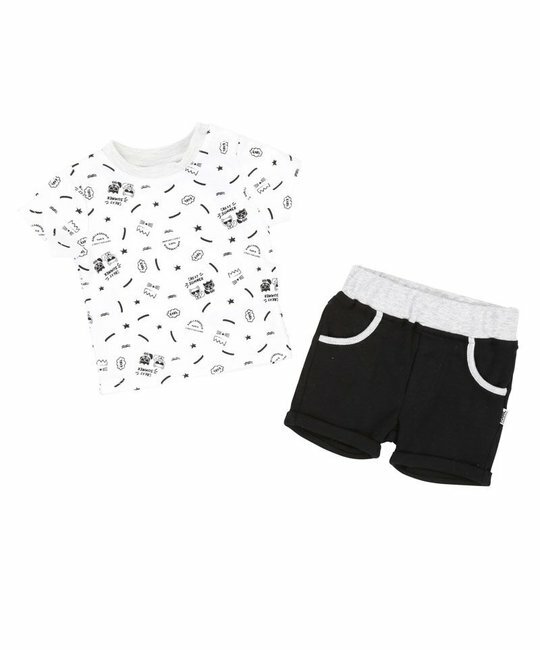 Karl Lagerfeld Kids white graphic print tee and matching black short set. 100% Cotton. Imported.